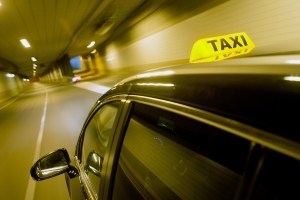 It is now easier than ever to get yourself where you need to be with our trustworthy and reliable taxi service here at Connect Cabs. Our friendly team of drivers are happy to drive all over Swindon and the local areas and can make sure you get where you need to be both safely and on time. Based in Swindon, we have been providing our customers with the highest standards of services available throughout the local areas with our reliable and trustworthy taxi services for over 15 years. We think it is very important for us to get to know our customers and we take great pride in establishing friendly, working relationships. Whether you need to get to and from the supermarket for your weekly shop, or are looking for an airport transfer so you are on time for your flight – Connect Cabs are here to help! Depending on the time, day or night, our highly trained and experienced team will always take you to your destination via the quickest route. We look after our customers and we know the most efficient way to get you from A to B in one piece. We are committed to keeping our prices low to ensure that our customers will always get the best deal available when they use our services, as your complete satisfaction is our number one concern. For a safe and comfortable taxi company that you can rely on, call the experts here at Connect Cabs on 01793 238 444 and our friendly team will be happy to help.